"We believe we saved approximately $90,000 and over a year of development on this project." 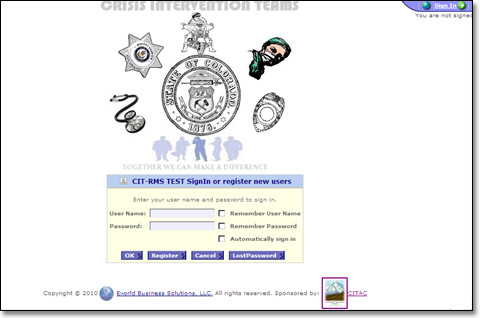 Crisis Intervention Teams - Referral Management System (CIT-RMS) is an award-winning (www.citac.us) web-based enterprise application that supports an unlimited number of police agencies, mental health facilities, and consumers, all under the umbrella of state government. 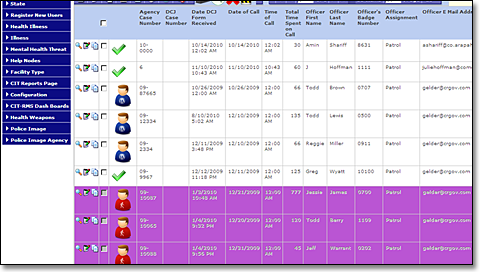 The application manages CIT (Crisis Intervention Teams) Referrals provided by police departments to healthcare workers via secure means. The application allows all entities to communicate through a central location without any one entity knowing of the existence of the others. 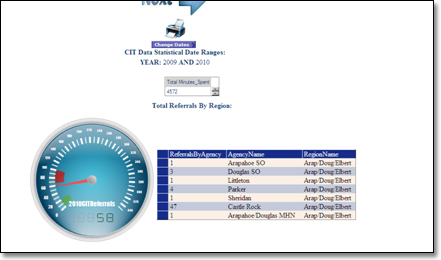 The application allows for real-time statistical information access on all levels. There are several "role" types in this application. Depending on the user's rights, a user registers by completing a membership application form online with a username and password. The user is considered inactive until he receives an email confirmation. Once the user is confirmed, the user has the ability to complete a CIT referral, which is passed on to the medical center for processing. There are several levels of security, each allowing the logged-in user to see critical statistical information. At this time, there is only one database, which acts as an enterprise application. Access is geared towards law enforcement and emergency response personnel. We used a Microsoft SQL Server 2005 database containing several database tables with hundreds of stored procedures and as many views. The application has been live since August 1, 2010, and we have recorded approximately 500 referrals. It has hundreds of web pages, and we estimate 1,000 referrals per month in 2011. The login page used to secure the application. This is a test site for the application because any data on the live site is privileged. This is the data collection form on a smaller scale. 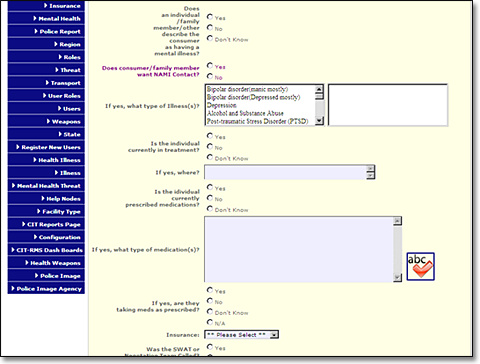 The medical questionnaire, which is used to tally illnesses. The project took one developer about four months to complete. We also wrote a lot of our own code to facilitate this enterprise application. We used Infragistics and Crystal Reporting. 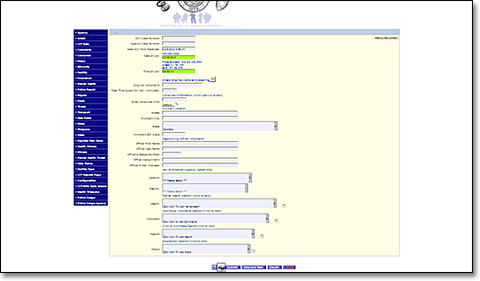 We did not make any page customizations nor did we create any application-specific design themes. We believe we saved approximately $90,000 and over a year of development on this project. This application was complex because it needed to service several different agencies without allowing these agencies access to each other's data. This data is protected by HIPPA (Health Insurance Portability and Accountability Act), which governs all information exchanged between health facilities and outside entities. HIPPA is a federal law that protects the medical information of all patients. Iron Speed Designer saved us a lot of time because we did not have to build the user interface, business rules, and database business objects. With Iron Speed Designer, we could spend our time developing the specific functionality of this unique project. Our plans are to expand CIT-RMS to other states which have a CIT program. The State of Colorado is setting the standard for Crisis Intervention Teams' interaction between law enforcement and individuals with mental illness. The plan is to include all the police agencies in the State of Colorado, which are estimated to be in the tens of thousands. For the last 15 years, he has developed financial applications for QuickBooks integration. He has also built financial applications for brokers who have unique trading methods. More recently, he has provided services to government entities, which range from record management to computer crimes.